Pretoria – Treasury will allocate R16.1bn to education, of the total R30bn reprioritised expenditure by government for Budget 2017. According to the National Budget, Treasury will fund additional allocations to higher education with R6.6bn in 2017/18 and R7bn in 2018/19. “Apart from debt servicing cost, post-school education is the fastest growing spending category, followed by health and social protection,” the budget read. “Though the fiscal envelope is constrained, billions of rands have been shifted to meet new needs,” explained Gordhan. Treasury has identified resources to provide R16.9bn in 2017/18 and R23.1bn in 2018/19. This is to “safeguard” the provision of social services, improve public health programmes and lessen the costs of higher education students, specifically from low and middle income households and to maintain infrastructure investment. One source of reallocated funds is contingency reserves, drawdowns on these for the medium term comes to R9bn and R4bn for 2017/18. A second source of funding is provisional allocations made in Budget 2016. Another source of finance was the National Skills Fund (NSF). “In consultation with the Department of Higher Education and Training, government agreed to use the NSF’s reserves to fund the shortfalls in university education for 2017/18,” the budget read. 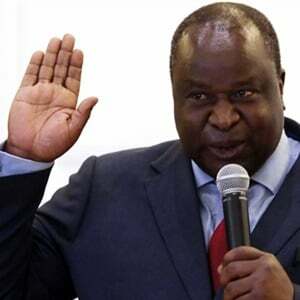 Government has made a R5bn provisional allocation to higher education for 2019/20. In addition to the drawdowns, government proposes a R6.9bn reduction in baseline budgets in 2017/18 and R5.5bn in 2018/19. Over the next three years government will transfer R105.9bn to universities and the National Student Financial Aid Scheme (NSFAS) will spend R54.3bn.